A lot has happened in the last few months, and the gambling industry has been yanked and pulled in all directions as a result. 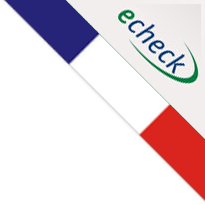 We’ve had a lot of questions about these changes, questions concerning recent law changes in Europe and the US, as well as some concerns regarding popular eCheck methods. So, to alleviate your concerns, here are a few updated FAQs concerning gambling in 2017. We’ll continue to monitor things and if another change is required or something else comes to light, we’ll be sure to update this page. Is Gambling Still Legal in Canada? Of course! Don’t worry, as there have been no major overhauls of the online gambling rules. If anything, things have gotten easier. That’s usually the case as time goes by and laws stay the same, because more casinos are launched, more laws are tested and more money is pumped into the industry. The reason this question is being asked is because there have been some major changes elsewhere. Some countries that have previously been wide-open to gambling in all of its forms have since tightened their rules. Such is the case in Australia. Problem gambling is on the rise Down Under and it’s causing some serious issues. As a result, lawmakers are placing restrictions on both online and offline gambling. This used to be a haven for gamblers, but if certain organizations get their way, gambling may soon be driven underground. This is also true of the UK. In fact, some of our favourite casinos are no longer available in the UK because of these new rules. However, in this case, it’s more to do with tax and how the money is exchanged than it is to do with concerns over the popularity or perceived dangers of gambling. Is Instant Banking the Way to Go? It seems like InstaDebit has a lot of competition these days. In truth, the competition has always been there, but more and more players are taking note. We have had a lot of questions from gamblers wondering if these options are better, if InstaDebit is still the way to go or if methods like Interac are better. We have taken your questions onboard and we have reviewed all of these Instant Banking programs. You can now browse eCheck Casinos to discover the best payment method for you, determining whether the speed or availability of one, trumps the features provided by another. Just take a look through our site to learn more. Are Playtech the Biggest Developer? Playtech are the Facebook of the online gambling world. They have acquired many other brands and programs, adding countless slots and table games to their already extensive portfolio. They have overtaken Microgaming in terms of size, and they are still on the up. This year was another huge one for the gaming giants, and 2017 could be even bigger. But they are not the biggest name in the industry. That accolade goes to Amaya, who happen to be Canadian. In 2014, Amaya bought Pokerstars and Full Tilt Poker, becoming the biggest gambling company in the world, and in the last year or so they have continued to grow. This is great news for Canadians, because success for Amaya means success for the Canadian gambling industry on the whole. And when the industry thrives, the players can reap the benefits. Both of these brands are well worth keeping an eye on as they continue to expand into 2017. Will Gambling be Legalized in the United States? Although gambling is legal in Canada, there are still some restrictions in place. These can make life difficult for some gamblers. However, many citizens are now wondering if things will change south of the border and if these changes will have an impact on Canada’s gambling laws. President elect Donald Trump is a businessman, and one who likely understands the potential benefits of legal gambling. In fact, it is an industry he has profited from himself. There is certainly potential for him to legalize gambling throughout the country and for this to have a positive knock-on effect across the continent, but it’s unlikely. The reason gambling is restricted is because it’s seen as immoral by many religious and right-wing groups. The governments have always tried to appease these groups as they provide the backbone of the country. Not only that, but they were the ones who voted Trump into power. If he legalized online gambling, he would surely lose their support. And without the support of the people who voted for him, the entire country would be against him. On the plus side, Canada’s gambling laws could relax regardless of what’s happening in the US. It’s an industry that provides a lot of easy money for the government and one that has helped to spawn companies like Amaya, giving Canada extra power on the global marketplace. Online casino operators offer dozens of different mediums to deposit money online. They strive to maintain this ease of deposits, because the easier it is to fund accounts, the better it is from a business and ROI standpoint. Instadebit is the best option for making deposits. It is not limited to Canadians but available to players from all around the world. The service is an electronic wallet, also known in colloquial speak as an “e-wallet.” E-wallets are essentially online bank accounts, which can be used to transfer and receive funds from online merchants. Instadebit takes a few minutes to sign up, and there are no set up fees. Additionally, there are no charges for depositing into your account. Instadebit asks users to verify personal information such as date of birth and address for security and fraud purposes. However, Instadebit takes the privacy of their users extremely seriously and this information will never be shared with a third party. Instadebit deposits are similar to electronic checks and are processed instantly. All users who wish to deposit using the service must have a valid bank account. When a player decides to fund their account, Instadebit makes a secure electronic funds transfer to their personal checking account. EFTs act the same as paper checks, and although your Instadebit account will be credited immediately, the funds may not display as debited from your bank account until several business days later. In addition to no fees on applied on deposits, Instadebit charges nothing for transferring funds to approved Instadebit merchants. When players wire funds from their account to a merchant, they do not need to have their Instadebit fully funded. If their balance is insufficient to cover the deposit amount, the system will send a single transaction to the user’s bank account to cover the amount. As stated previously, the electronic funds transfer will take several business days to clear, and the funds will be available immediately. Instadebit is supported by over thirty countries for deposits but only processes withdrawals to Canadian citizens. Since Instadebit is integrated with the Canadian banking system, withdrawals are quick and easy. Usually, an internet casino will process your Instadebit withdrawal in just a few days. From there, Instadebit normally takes 2-3 business days before making it to the customer’s checking or savings account. Instadebit has been trusted since 2002 and is an industry leading e-wallet and payment processing provider. It is highly secure and regulated by strict Canadian banking restrictions. They have 128-bit SSL encrypted servers, so customer information is protected. Instadebit, unlike some other deposit options, protects users’ private information. Merchants will only have access to your Instadebit email/login, so players will likely not have to worry about their personal information being exploited, via fraud or other methods. Online casinos are a global market, and Instadebit is available to players in three currencies, Canadian Dollars, United States Dollar, and British Pounds. Instadebit uses standard exchange rates for currency conversion, which are applied to withdrawals and deposits as required. When withdrawing to a personal bank account, a small service fee is required for currency conversion, which is 1.5 units of the currency held in your Instadebit wallet. Spin Palace is a Microgaming based online casino which was launched in 2001, and is recognized as one of the most trusted brands in the world. The action is big, and the selection of games tremendous. The latter are populated by players from all around the globe. Spin Palace has over 450 casino games, from slots to table games, and everything in between. The options are endless, and the casino is easy to navigate. They have over 30 varieties of Blackjack, and other favorites such as Craps, Baccarat, Video Poker, Roulette, and many more. There are tournaments every few hours for all different types of games, pitting you against opponents in a race to see to who can win the most casino cash. On top of that, they have jackpots for nearly every game and progressive slot payouts that are regularly into the millions! Spin Palace has an average payout rate of 97%, giving players an excellent opportunity to double or even triple their deposit! Spin Palace does not just offer new players a single deposit bonus – they offer new players bonuses on their first three deposits. First time depositors will receive a 100% Bonus up to $150; on their second deposit players will receive a 50% Bonus up to $100, and finally 50% Bonus up to $100 on their third deposit. In addition to all this extra money, Spin Palace offers regular reload bonuses, and other deposit promotions. Royal Vegas is one of the world’s best casino brands, is fully licensed in Malta, and has a long history of outstanding customer service. With millions of customers worldwide, countless players have chosen Royal Vegas as their online casino of choice. Royal Vegas offers over 500 different online casino games and introduce new games every single month! They have the largest selection of slots online, with nearly limitless amounts of themes and extras for players. Players can chose from the old classics to variations of their favorite games such as, Blackjack, Craps, Video Poker, and Roulette. Royal Vegas has a distinctive atmosphere and provides a superb online casino experience. Royal Vegas offers players up to $1200 in welcome bonuses over a series of deposit bonuses. The first deposit bonus is good for a 100% match up to $150, with each continuing deposit earning players more and more bonus money. Each deposit bonus will be credited to a player’s account within an hour of making the deposit. Royal Vegas also has a lucrative reward system, which gives players weekly promotions, bonuses, and entrances into casino tournaments. Instadebit is accepted by the vast majority of online casinos and is a safe and secure way to deposit and withdraw online. Along with the distinction of being a leading deposit option for Canadian citizens, Instadebit is used globally as well. Players can trust Instadebit to handle their online gambling transactions, and keep their funds out of harms way in the process.